Few people have done what Dwyane Wade has done during his time in Miami. 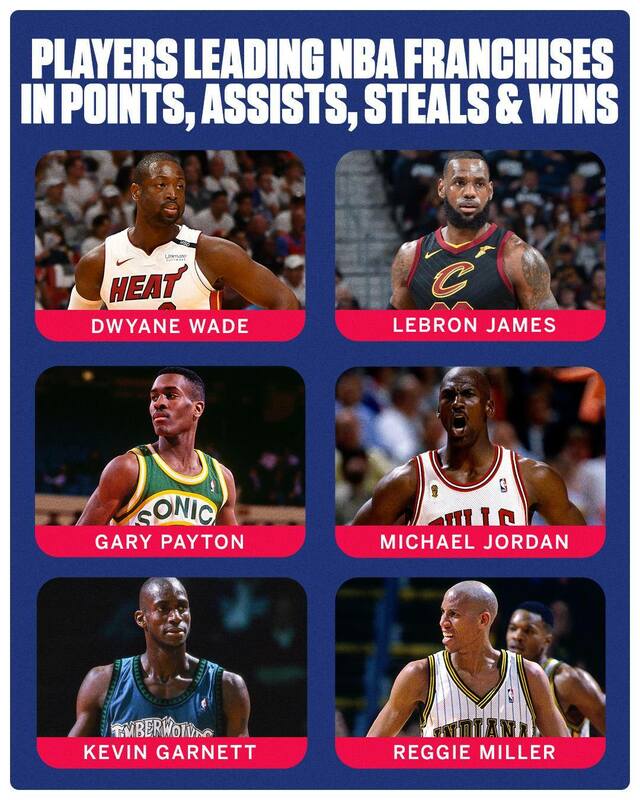 He joins LeBron James of the Cleveland Cavalier, Gary Payton of the Seattle Supersonics, Michael Jordan of the Chicago Bulls, Kevin Garnett out of Minnesota and Reggie Miller representing the Indiana Pacers to lead their team in points, assists, steals & wins. Will Dwyane Wade be back next year? Previous article Dwyane Wade’s Last Game?